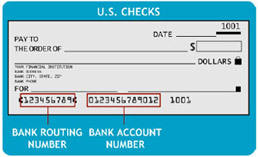 Please also note that the checking account information filled out below is not saved by Priests for Life but is only used by the bank for this transaction. out these two fields so that we can process your gift more quickly. (if it is not in the box already). Please check this box if the donation you are giving is for an order you have placed or received for Priests for Life products.